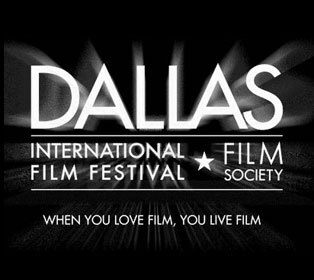 aking at premiere splash at the Dallas International Film Festival (DIFF), Sonnet's Qio™ took front and center stage as it provided high-speed transfers and flawless performance for the Ingest of festival footage from seven HD cameras. Bandwagon Media, a Dallas-based full-service media company, used the Sonnet Qio to ingest the footage from seven in-field cameras that recorded every event activity from question-and-answer sessions to parties and red carpet events. The content was then edited into event recaps and uploaded onto YouTube®. Qio provides a convenient alternative to stand-alone card readers, SATA controllers, and various adapters, combining their functionality in a compact, rugged case. The Sonnet Qio supports major HD video memory card formats — Sony® SxS™, Panasonic P2, CompactFlash®, and SDHC — with two slots for each (SDHC shared with SxS) and the ability to transfer data from cards concurrently. During the first few days of the event, Tim Harry, co-founder of Bandwagon Media and edit bay supervisor for the 2010 DIFF, ingested content from seven Panasonic P2 HD cameras using USB and FireWire®, a process that took several hours each day. But soon he began using Sonnet’s Qio, which connects to his MacBook® Pro through the PCIe 2.0 Bus Extender ExpressCard/34, allowing high-speed transfers with aggregate bandwidth of up to 210 MB/sec. Qio enabled easy transfer of content from two Panasonic P2 cards at a time, cutting ingest time by three quarters and providing more time to edit and upload 63 videos to YouTube over the course of the festival. For quick migration of data, Tim utlized the fasts eSATA support of the Qio. Qio contains an eSATA controller based on Sonnet’s acclaimed Tempo SATA host controller cards, which through its four eSATA ports enables users to connect Sonnet mobile or desktop RAID storage systems, or any other drive system with an eSATA interface. 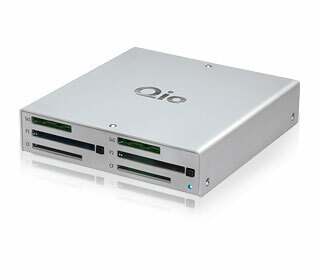 Qio also functions as a PCI Express® bus expansion system. The unit’s SxS and P2 slots accept ExpressCard/34 adapters and CardBus cards, respectively, enabling users to utilize WiFi, FireWire, USB, Gigabit Ethernet, and other adapters as well. For notebook users, the Qio sextuples the number of expansion card slots. To learn more about Bandwagon Media, visit www.bandwagonhd.com. The difference the Qio makes to my workflow is amazing. The speed of Qio is incredible, not to mention that it can transfer data from two P2 cards concurrently. The results speak for themselves: 63 videos in 10 days is quite a feat. Before using Qio, I was transferring content right off the cameras via USB and FireWire. Not only did this take forever, but it used a ton of tape and required eight MacBook Pros to pull in footage. With Qio I only needed two MacBooks Pros: one to bring in footage and one to edit.”.